The sinkhole that swallowed eight Corvette vehicles earlier this week may have done so with ease, but getting those damaged cars out won’t be so straightforward. Considering their place in automotive history, General Motors has announced its intent to restore as many of the vehicles as possible, but it may be weeks before workers can successfully retrieve the classic cars. 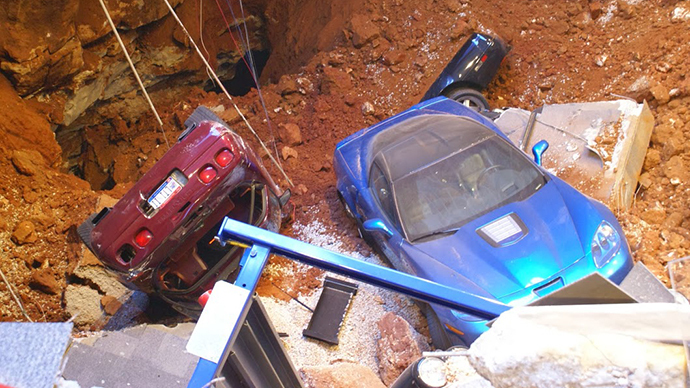 As RT reported previously, a massive sinkhole opened up under the National Corvette Museum in Bowling Green, Kentucky early Wednesday morning. 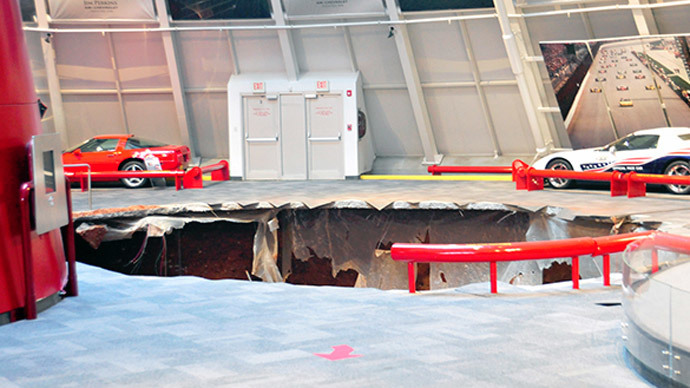 No one was hurt by the event, but the museum’s security cameras managed to capture the scene, showing the vehicles fall almost 30 feet underground. Some of the cars looked to be in relatively decent shape, landing on their wheels, but others nosedived and ended up covered in rubble. Although the structural foundation of the museum is believed to be intact, the company behind the building’s repairs told Reuters it will take two or three weeks to make sure the area is stable, and possibly another six days to get the cars out of the pit. "When you go in there, it's unreal," museum spokeswoman Katie Frassinelli told CNN. 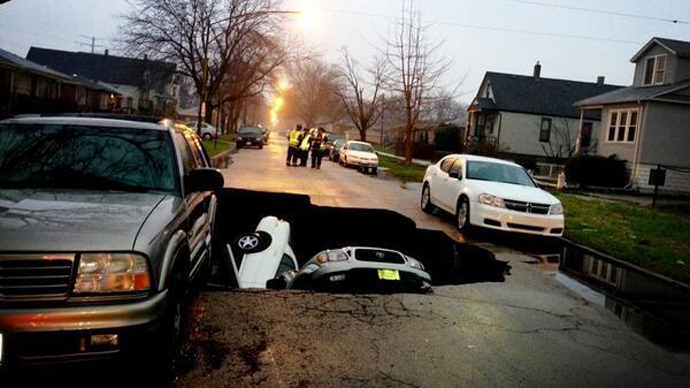 "The hole is so big, it makes the Corvettes look like little Matchbox cars." On Thursday, GM announced it will restore the cars so they can continue to be viewed by museum attendees. Meanwhile, the Corvette museum’s executive director, Wendell Strode, said it’s possible all eight cars can be saved. 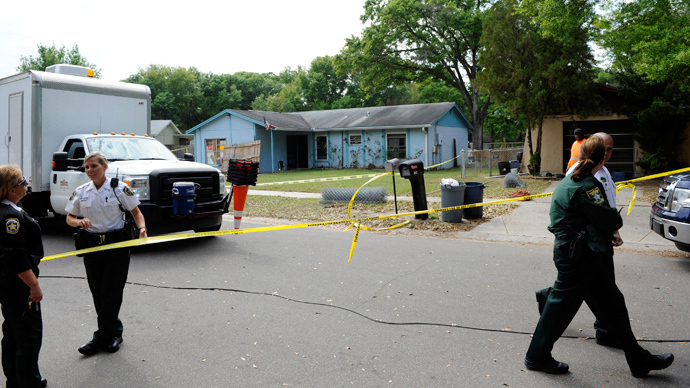 "We feel pretty confident that most of the cars can be extracted," Strode told the AP. "And we hope and believe that with just a little bit of luck, that all eight cars can be extracted and be part of the restoration." 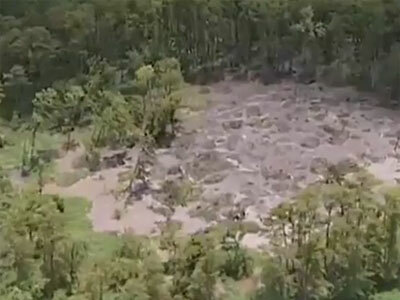 The cause of the sinkhole remains unknown at this point, though geologists speculate that expanding caves beneath the earth could have forced the surface to collapse.